A cup of coffee followed by a day at the beach makes for an idyllic life style! 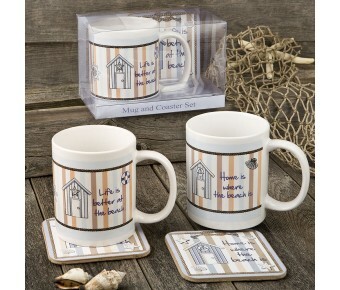 Capture these moments with a delightful nautical themed mug and coaster set. Our 11 oz coffee mug is made from quality ceramic and features soft pastel colors with a nautical theme. 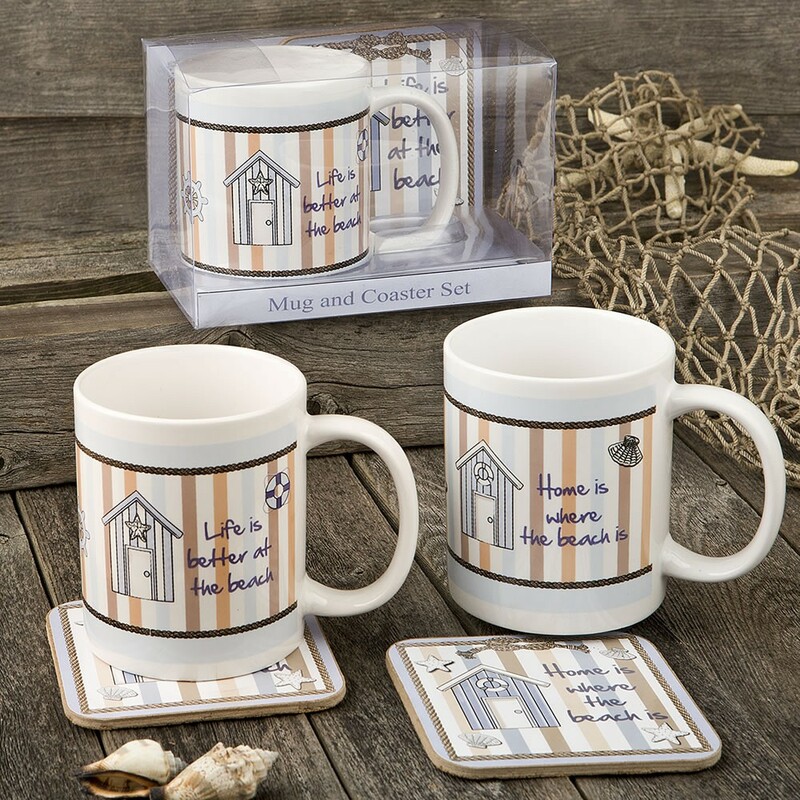 There are two designs, one reads 'Home is where the Beach is' and the other 'Life is better at the Beach'. A boat house, ships wheel, life preserver and shells complete the picture. These mugs come in a set, each with a coaster made from cork. The coaster matches the style of the mug with the addition of a classic rope design around the edges. This is a delightful and functional gift for clients to find on your shelves. Ideal to offer as favors at a nautical themed event or as a gift for a special friend! 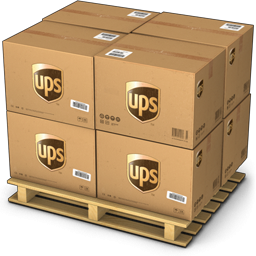 Size of mug 5" x 3 3/4"
Size of coaster 3 3/4" x 3 3/4"